Scientists have created a fast, accurate, and versatile paper-based blood test that could be performed without the need for specialized equipment - providing a more cost-effective strategy for blood grouping. After analyzing 3,550 clinical blood samples, the test demonstrated more than a 99.9% accuracy rate, and the only inconsistencies occurred in trials with highly uncommon blood types, according to the report published in Science Translational Medicine. Unlike conventional microplate or gel-column blood-grouping tests, which are technically demanding and slow to return results, the easy-to-interpret test classified samples into the common ABO and Rh blood groups in less than 30 seconds after only two simple steps. To create the test, Hong Zhang and colleagues took advantage of chemical reactions between blood serum proteins and the widely-available dye bromocreosol green. 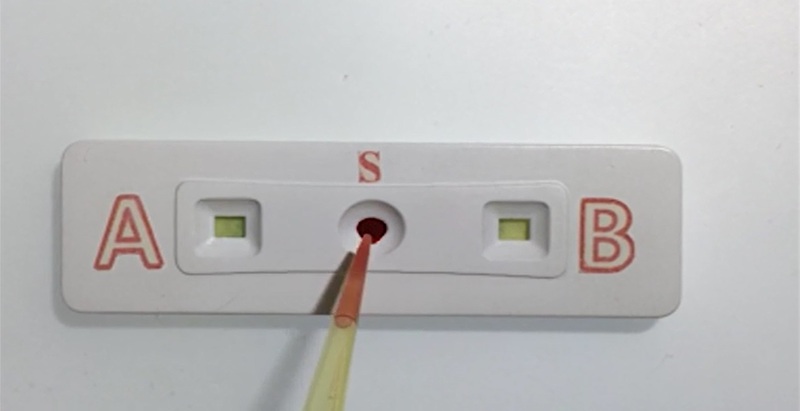 The researchers applied a small sample onto a test-strip containing antibodies that recognized different blood type markers (or antigens). 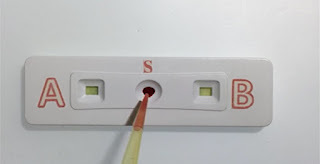 The results appeared as visual color changes - teal if a blood group antigen was present in a sample and brown if not. With slightly more time (but still in less than two minutes) the assay was able to identify multiple rare blood types. What's more, the researchers incorporated a separation membrane to isolate plasma from whole blood, which allowed them to simultaneously identify specific blood cell antigens and detect antibodies in plasma based on how the blood cells clumped together (also known as forward and reverse typing), all without a centrifuge. The rapid turnaround time of the test could be ideal for resource-limited situations, such as war zones, remote areas, and during emergencies, the authors say.